Bacardi measures performance in two ways: absolute totals and efficiency metrics. Absolute measures are straightforward – for example, total quantity of water used. Efficiency metrics normalize these absolute totals against an appropriate business output – for example, water used per unit of product manufactured. Our targets are based on improvements in our performance against our efficiency index. Baseline year (FY06) figures, and those from previous reporting years, have been recalculated to reflect significant changes within the Company (e.g. acquisitions, divestments, etc.). During FY18 we experienced some structural changes, including the consolidation of some manufacturing operations. Twenty-five wholly owned manufacturing sites were measured for this data. Recalculation was done in accordance with protocols established by the World Resources Institute and World Business Council for Sustainable Development, and Beverage Industry Environmental Roundtable (BIER) guidance documents. In addition, emission calculation for fuel and electricity are recalculated, based on the latest emission factors (e.g. International Energy Agency). 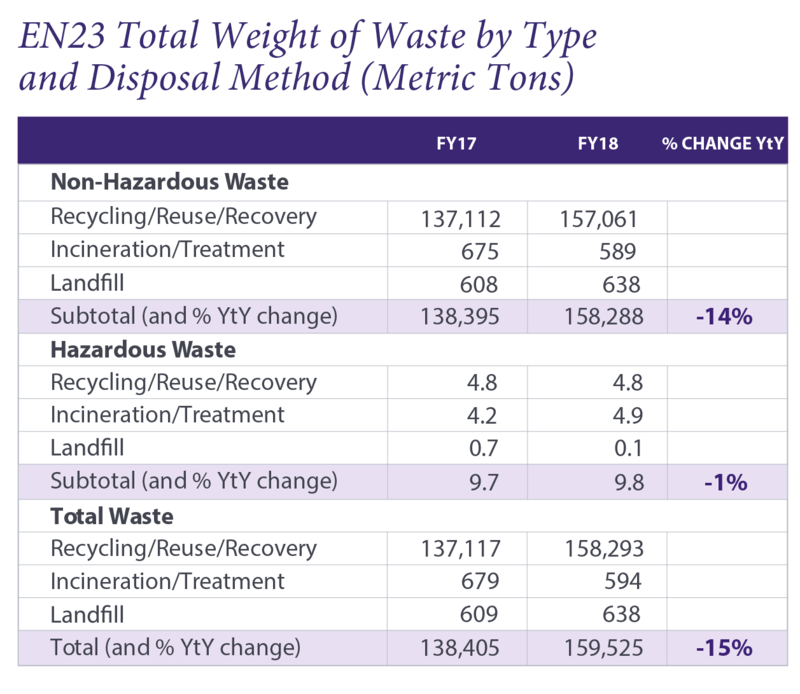 Absolute numbers in water use, waste, and energy increased from FY17. This is due to a few manufacturing sites producing more liquid, which resulted in our facilities operating for longer periods of time, producing more recyclable/reusable waste, and using more water for cooling (though the water was returned to the original source with no impact). While absolute numbers increased, we were able to utilize our assets more efficiently, resulting in the improvement in efficiency indexes. Our total water used in FY18, measured by the efficiency index, was 7.3% better than FY17. This represents an overall improvement on our water use efficiency index of 50.4% vs. FY06. Of the total water released by our production facilities, 1,077,341 cubic meters was discharged as wastewater and 82,270 cubic meters was applied to cropland as a fertilizer or for irrigation. The water that is applied to land for beneficial reuse is returned to the crops that provide our raw feedstock to make spirits in countries where regulatory authorities permit. 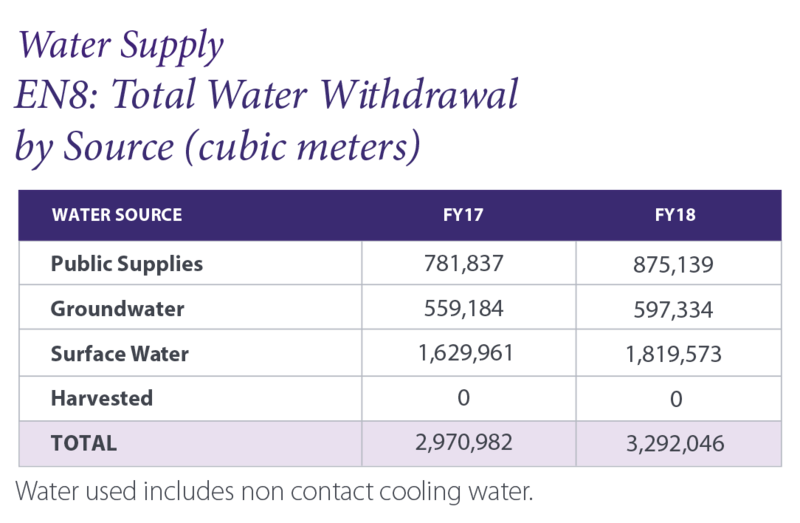 Changes in the production mix and manufacturing consolidations in FY18 affected water discharge in the same way as water use as noted earlier. Wind power includes only that from dedicated contract suppliers. Grid electricity includes all forms of renewable and non-renewable energy on the national grids. 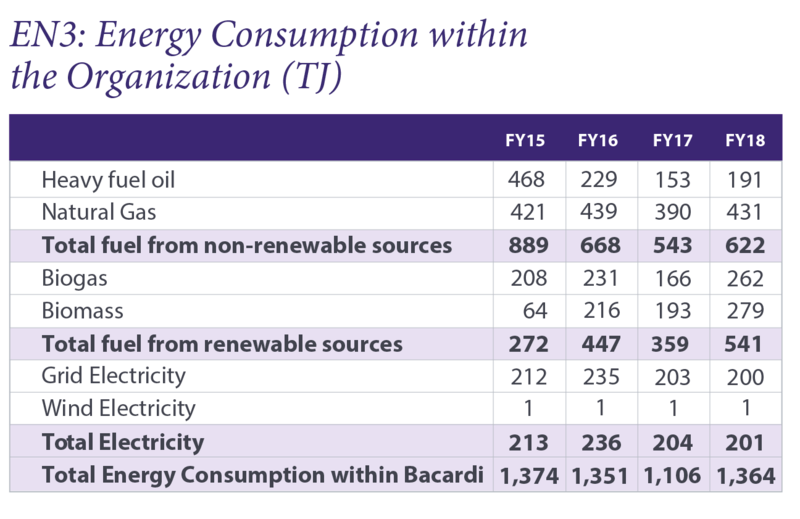 In FY18, 44% of electricity was purchased through renewable contracts and 47% of fuel was from renewable sources. 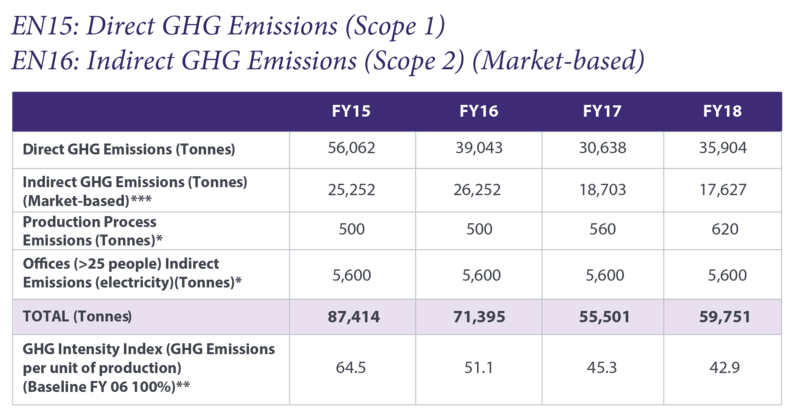 We surpassed our long-term target of reducing total GHG emissions intensity by 50% versus FY06 by the end of 2017, reaching 59%! * Estimated figures. We are in the process of defining a more accurate way to track these emissions based on industry standards. *** Scope 2 emissions are calculated using market-based emission factors. 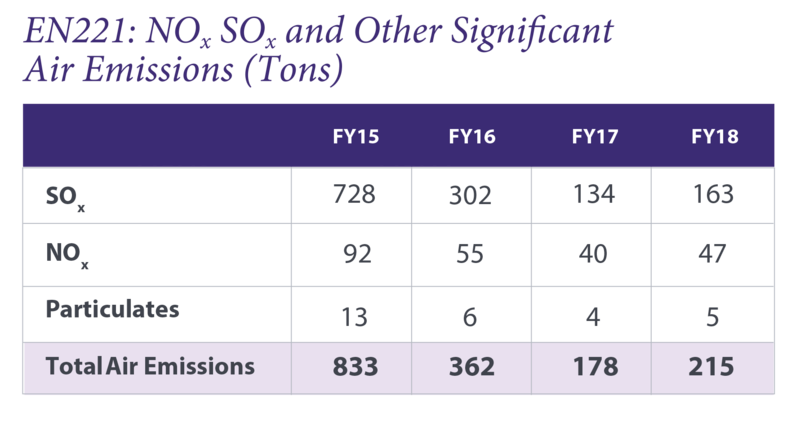 Our FY18 total indirect location-based emissions were 26,872 tonnes.